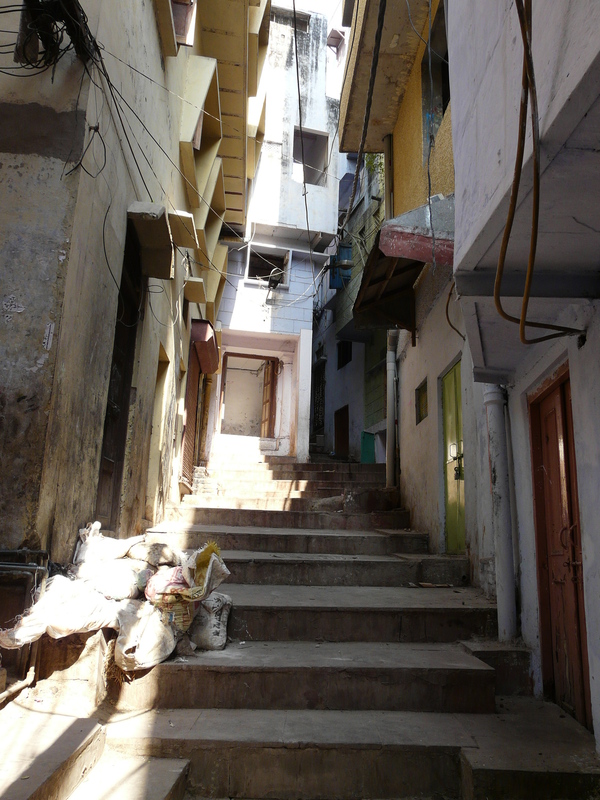 Despite Old Delhi’s layered history and dense urban fabric, there still exist a few places where the underlying physical geography of the area pokes out of the vigorously paved city. 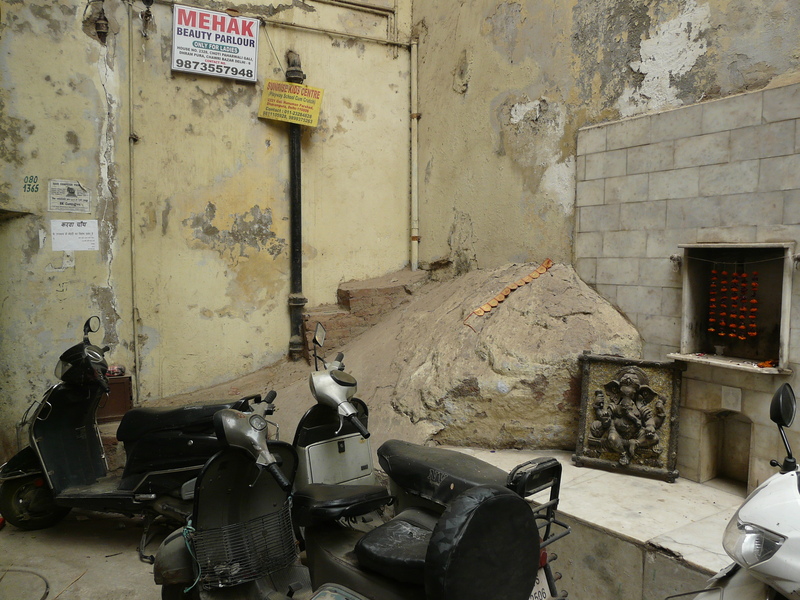 As far as natural features in the city go, haveli courtyards used to have lush trees within them, but since the havelis and courtyards have been subdivided, there is very little foliage left in the old city. As such, Old Delhi now has a very dense, “built” and “human made” feel to it. I was surprised then, while exploring the Roshanpura/Dharampura area, to find a large boulder sticking out of the ground at the base of a house, which had the basic late-19th c/early-20th c design form. I found this odd, wondering why the boulder had not been shattered to level the ground and to be uses as building material, noted that this rock is probably a lonely protrusion of the Aravali range, and went along my way. Then a few days later when exploring the Ilmi Pahari (literally “tamarind hill”, also known as Bhojla Pahari) area south of Churiwalan lane, I noticed yet another rock protruding from the paved ground. This rock was even more interesting, because Imli Pahari is probably the only part of the old city that is (still) discernibly “hilly”, with steps instead of lanes leading up to houses and further stepped lanes. 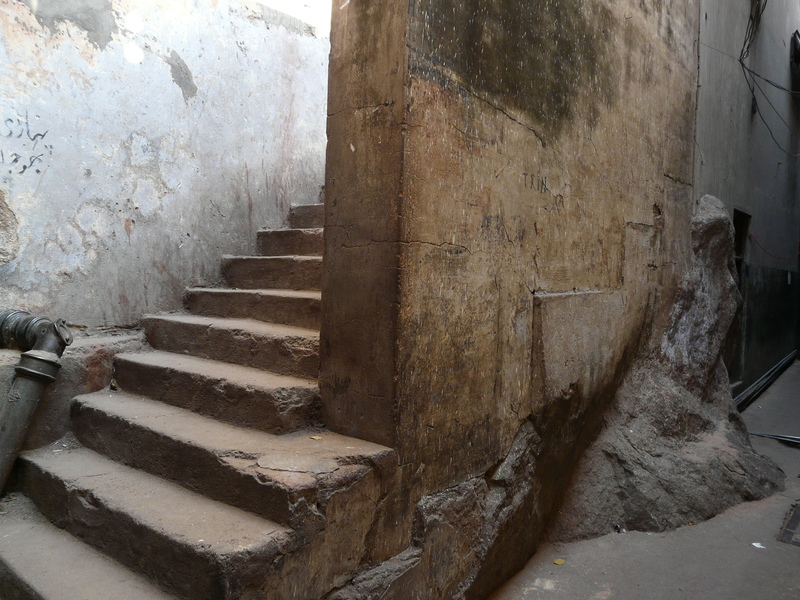 This second boulder was almost at the top of the hill, which was probably the highest point in Old Delhi, given that there is one of those large cylindrical concrete municipal water storage tanks at the top of the hill. Unfortunately the view from the top is obstructed by tall residential buildings that have come up all around. For me, in this case, one boulder was an oddity, but two boulders is a pattern! The main spine of the Aravali range runs just west of Shahjahanabad, between the Sadar Bazaar/Paharganj and Karol Bagh areas. Here the Aravali spine connects the better known forested Southern Ridge and Northern Ridge of the range in Delhi. The Aravalis start in northern Gujarat and traverse the length of Rajasthan, southern Haryana and parts of Delhi, before gently voicing a last hurrah in the form of the Northern Ridge, and then submerging under the alluvium of the Great Gangetic Plains and petering out. These two boulders must be small protrusions of the range, as must be the hill of Imli Pahari itself. 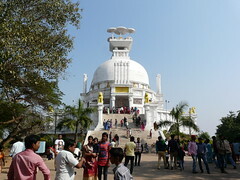 In any case, I returned to the first boulder in Roshanpura to take a photo, and noticed that the lane that the boulder was on was called Gali Bari Paharwali (“Lane of the Large Hill”). This I found absolutely intriguing, and a local shopkeeper said that there used to be a bit of a hill here, and the lane went past the hill and so got its name. 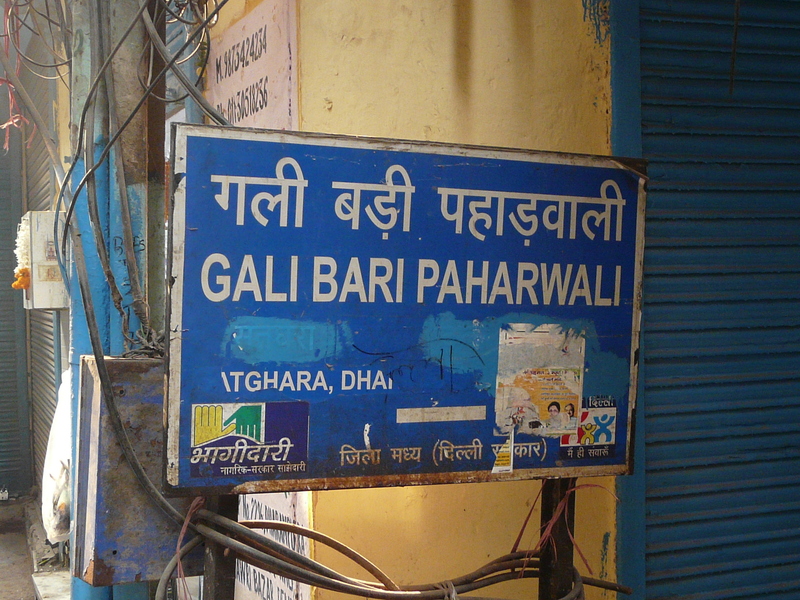 He also told me that the next lane south of there was called Gali Choti Paharwali (“Lane of the Small Hill”) and there was a smaller boulder on that lane too, and sure enough it was there. 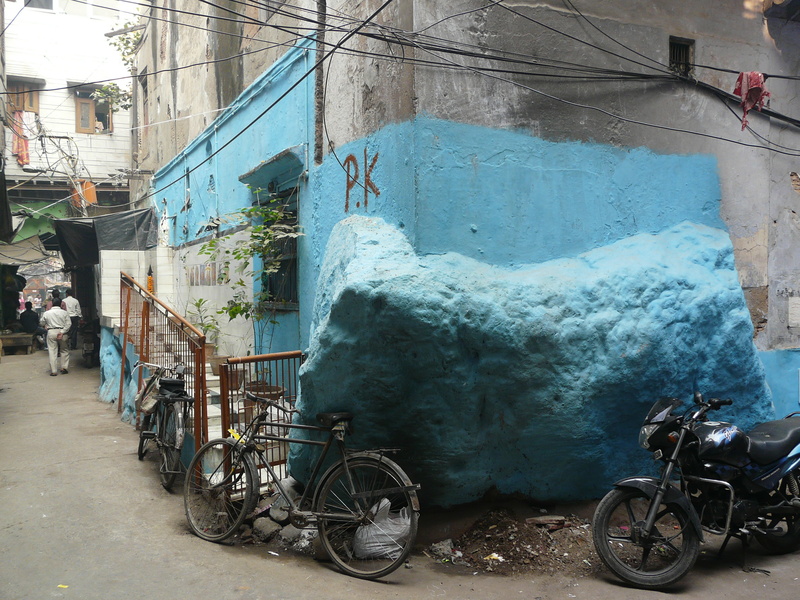 This took my boulder count in Old Delhi to three! One can imagine a time when there were large havelis in this area, and much more open space than there is now, and a small open hilly area existed here, between havelis, with these boulders. As the area became more and more densely built up, the hill became mostly imperceptible, but the boulders remained, perhaps being considered sacred in some way, and the two lanes that led past these large and small boulders got the names they have now. It would seem that these two boulders have been given the honorary titles of “hill” (“pahar” can even mean mountain), perhaps to commemorate the erstwhile hill that they once existed on. Alternatively, perhaps the word “pahar” here was once actually “pathar”, which means stone, and the names got changed over the decades. So “gali badi/choti patharwali” would have meant “lane of the large/small stone”, which would make more sense but would be a slightly less romantic story. Or maybe equally romantic. Finding the first two boulders was a chance occurrence and a nice surprise, but realizing the names of the two lanes and finding the third was a real treat. Another in the seemingly endless list of stories that the streets of Old Delhi could tell! 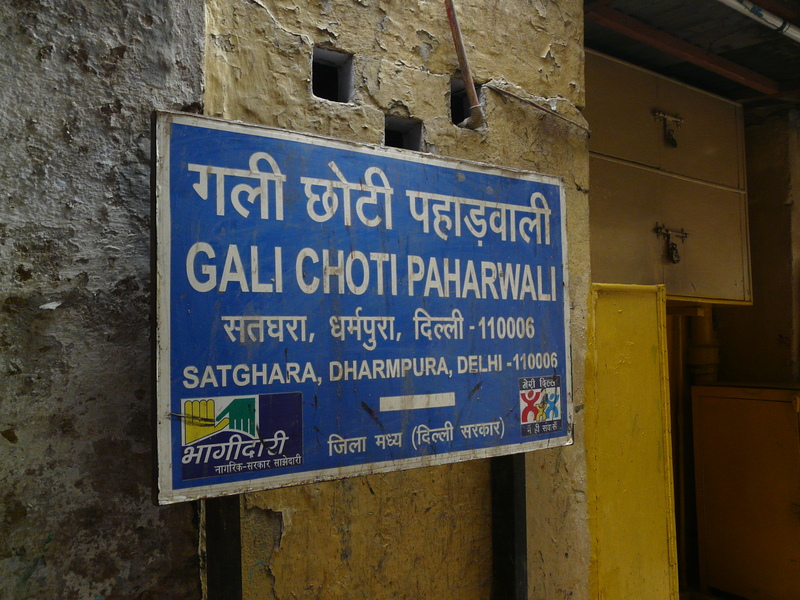 This entry was posted in Delhi, Shahjahanabad and tagged aravalis, bhojla pahari, delhi, dharampura, geography, imli pahari, old delhi, roshanpura, shahjahanabad. Bookmark the permalink.